If your Zoom.us file has green artifacts in ScreenFlow please follow the instructions in the linked post to re-encode to a compatible format. The Issue is noted in our Knowledge Base here. 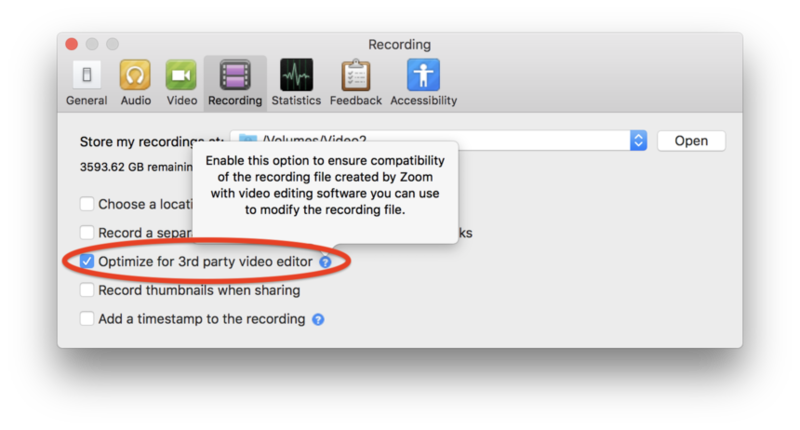 To record compatible files from Zoom.us please use the follow setting in their App before recording.